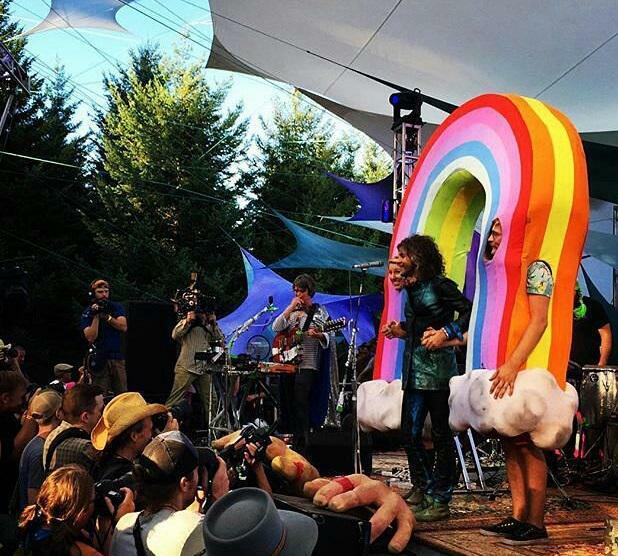 Yes, there’s literally a place called Happy Valley and from July 30th through August 2, 2015 it welcomed the 16th Pickathon Independent Music Festival with performances by Ty Segall, Sam Cohen, Kevin Morby, Cloud Nothings, DIIV, Tinariwen, Broncho, Vetiver, Meatbodies, Hiss Golden Messenger, Viet Cong, JD McPherson, Wolf People, Jessica Pratt, Ex Hex, Shabazz Palaces and King Tuff and others. 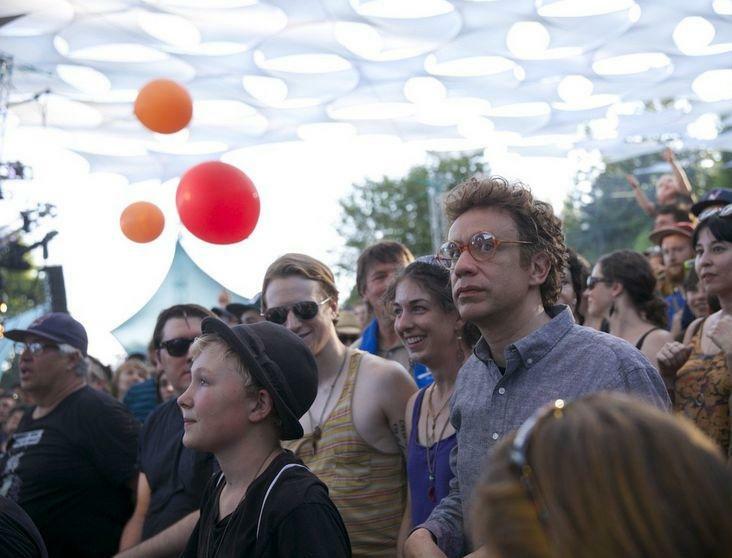 The annual fest on Oregon’s Pendarvis Farm was kicked off this year with the filming of a Pickathon-themed episode of IFC’s Portlandia, a satirical sketch comedy TV show starring Carrie Brownstein (lead guitarist/singer for Sleater-Kinney and Wild Flag) and Fred Armisen (formerly of Saturday Night Live). 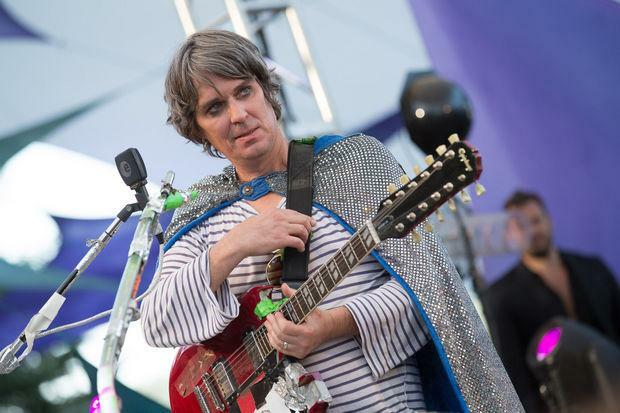 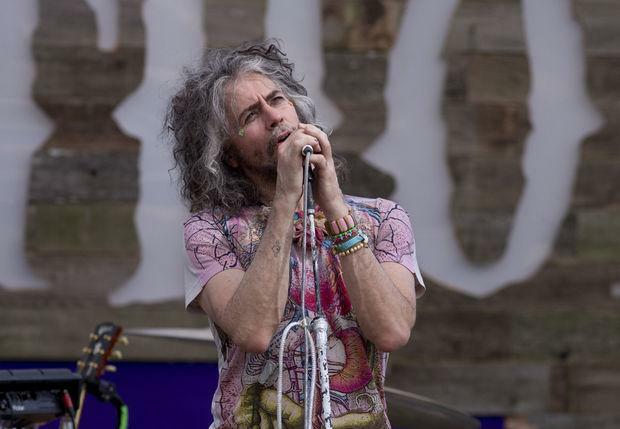 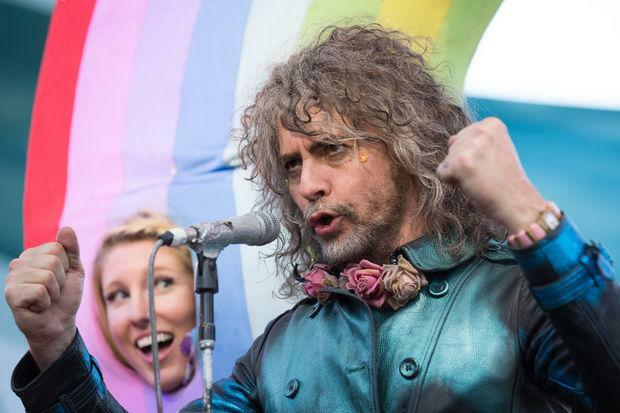 Listed on the Pickathon festival schedule as “Fred, Carrie & Musical Guests,” the TBA artist turned out to be none other than The Flaming Lips. 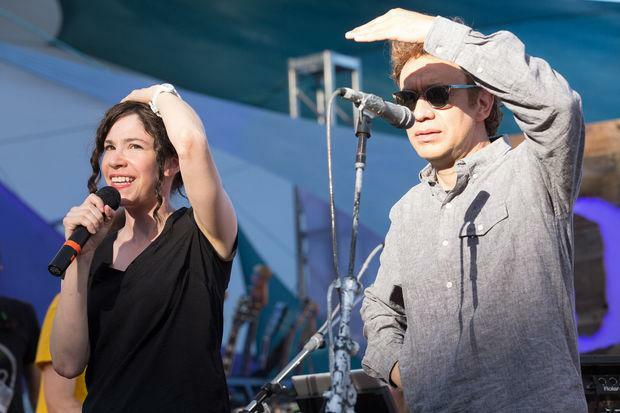 Following a long day of shooting in health-threatening heat (more on that below), the Lips and Portlandia crews were scheduled to appear on the Mountain Stage at 5:30 with a (not so) “secret mini-set” by the band to follow. 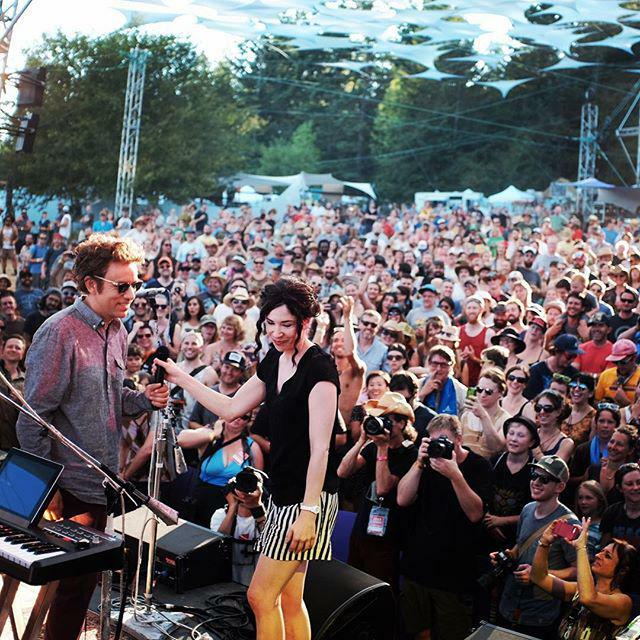 Pickathon’s 2016 Kickoff Party at Portland’s Revolution Hall on January 18th – at which they’ll announce this year’s roster – will have an advance screening of the Portlandia season six premiere three days ahead of its IFC national airing. 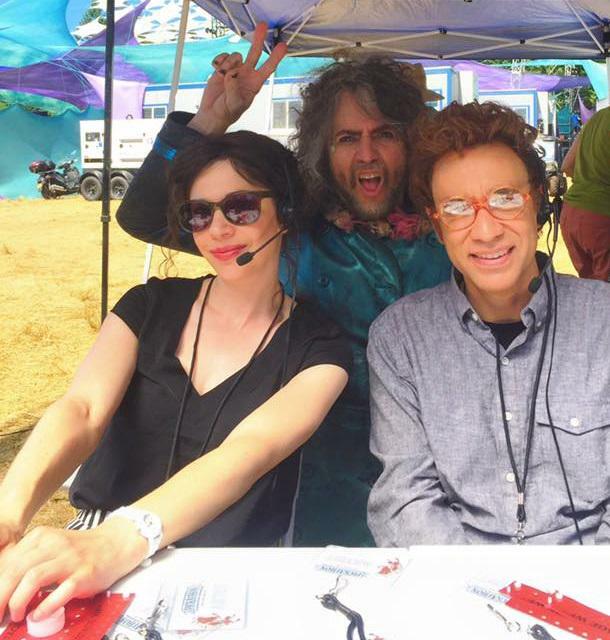 Additionally Portland’s Cartlandia food cart lot will host public weekly showings of Portlandia in the Blue Room Bar beginning January 21, 2016 with the premiere. 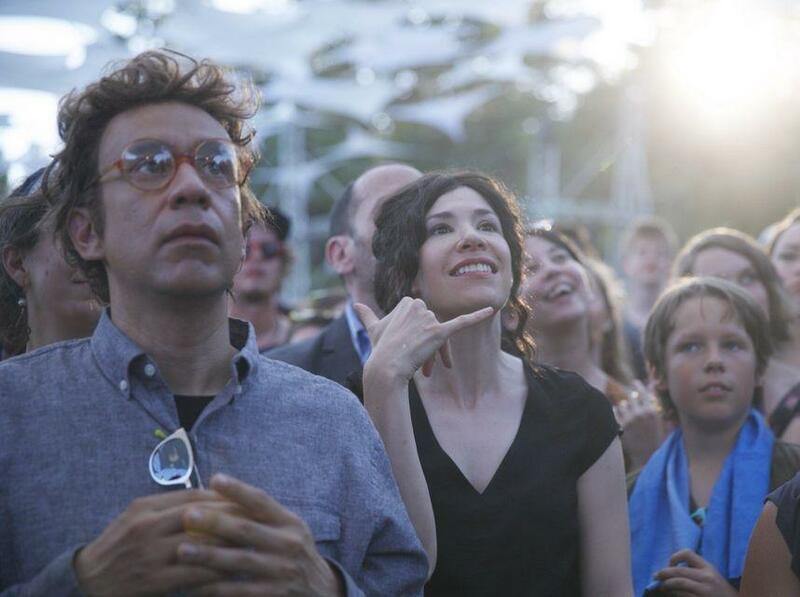 Besides its regular showings on IFC, Portlandia is also available on Hulu, Amazon, Google Play or iTunes. 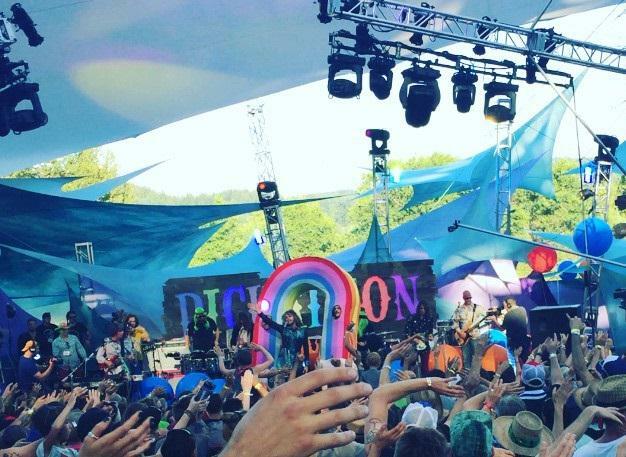 Scroll down for details from the day of filming the season premiere at Pickathon (warning: puke is involved) and a sampling of the photos that surfaced on social media and oregonlive.com. 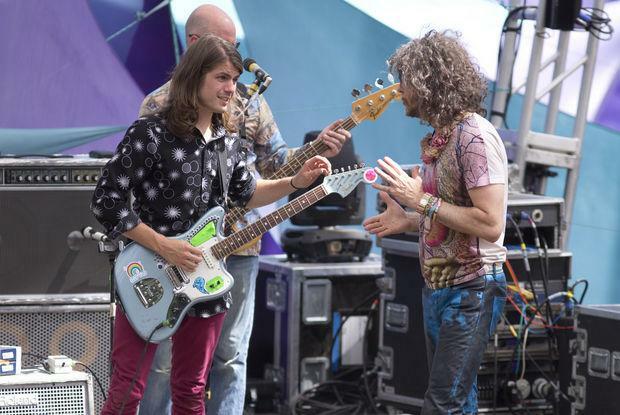 "Hey Man!!! 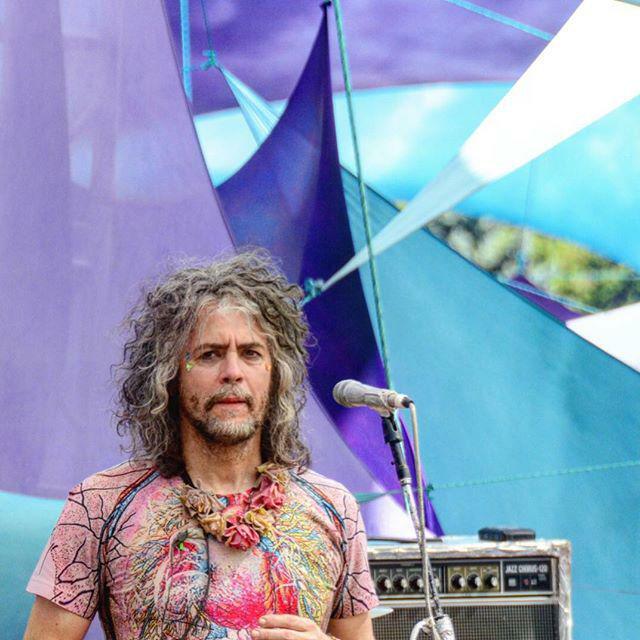 I'm hangin' with Fred Man!!! 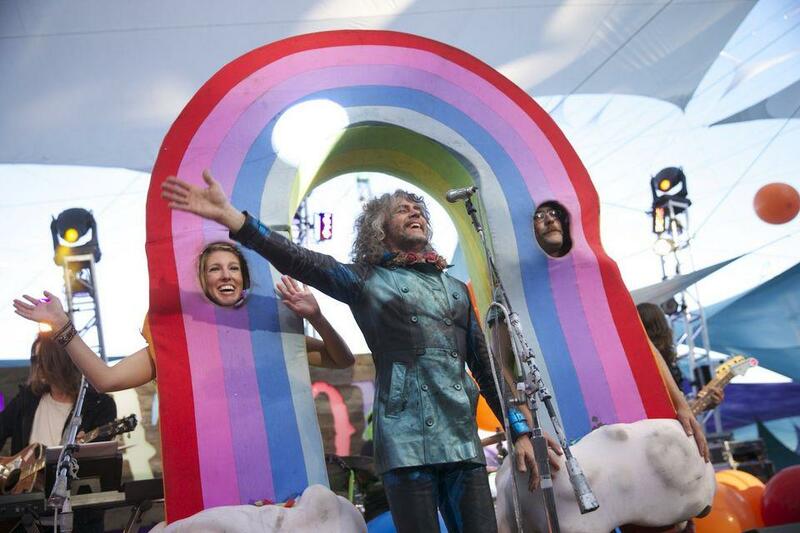 That is Hu-u-uge Man!!! 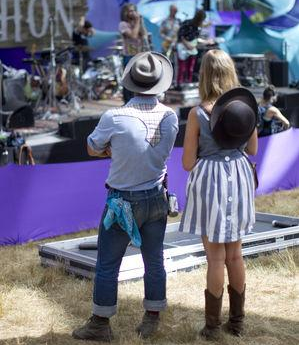 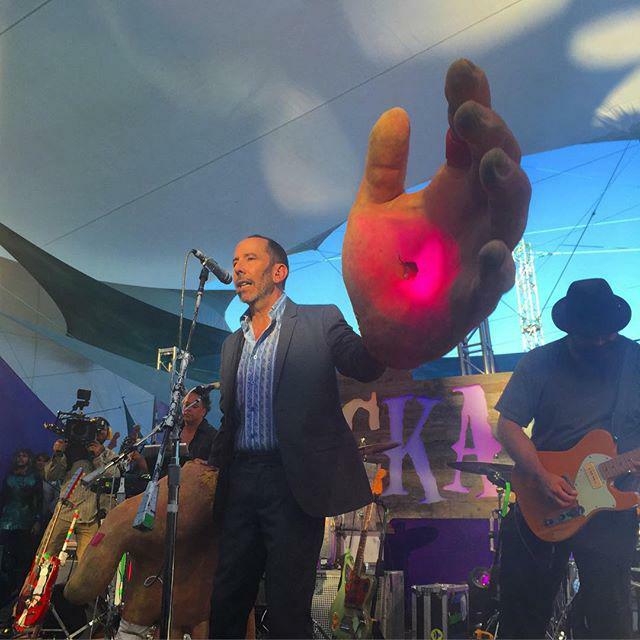 #portlandia #pickathon2015 @sordociego You tell 'em Tiny E!!! 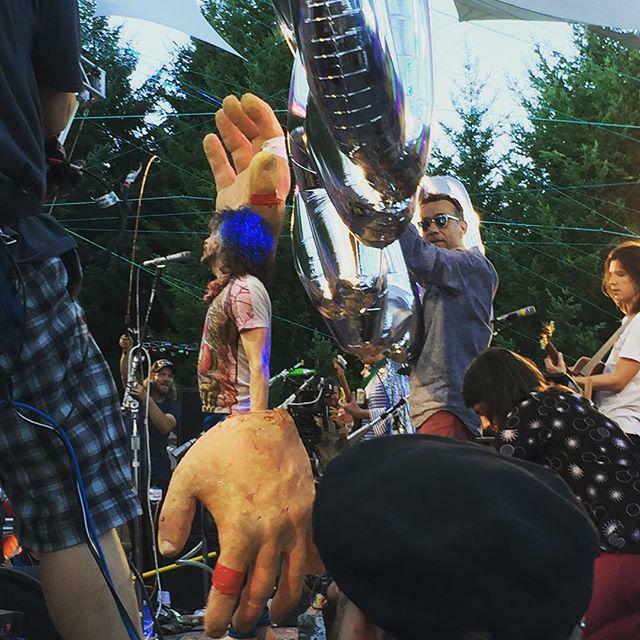 Score one for the Tiny E!!!! 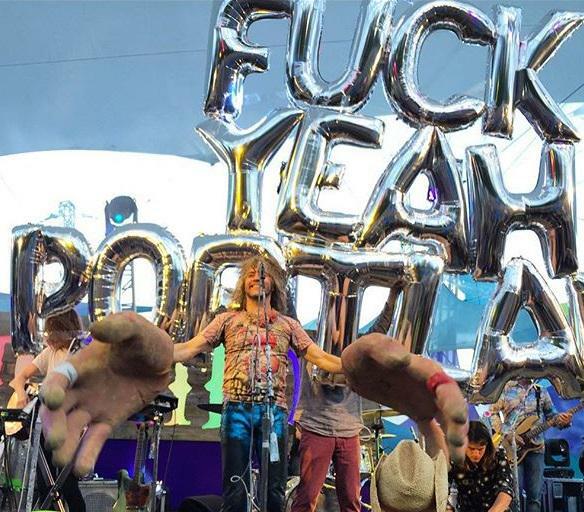 Yesss!!! 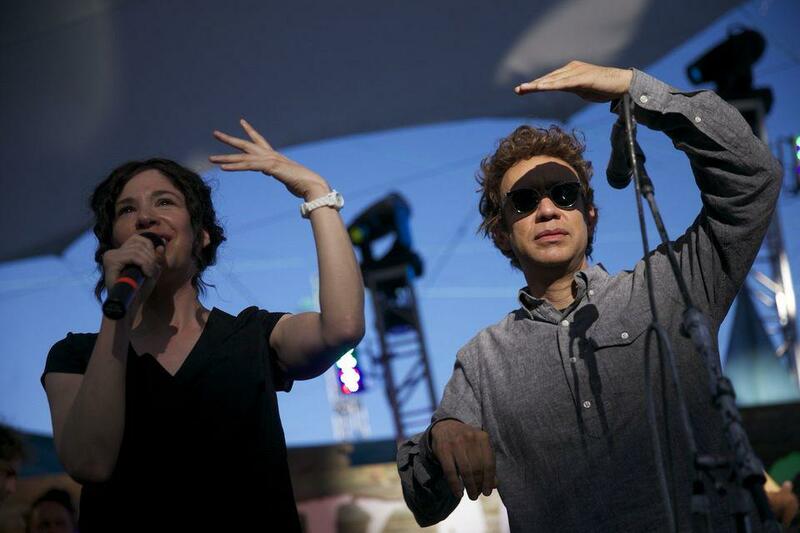 Fred Armisen n Carrie n Jonathan.. Portlandia !!!! 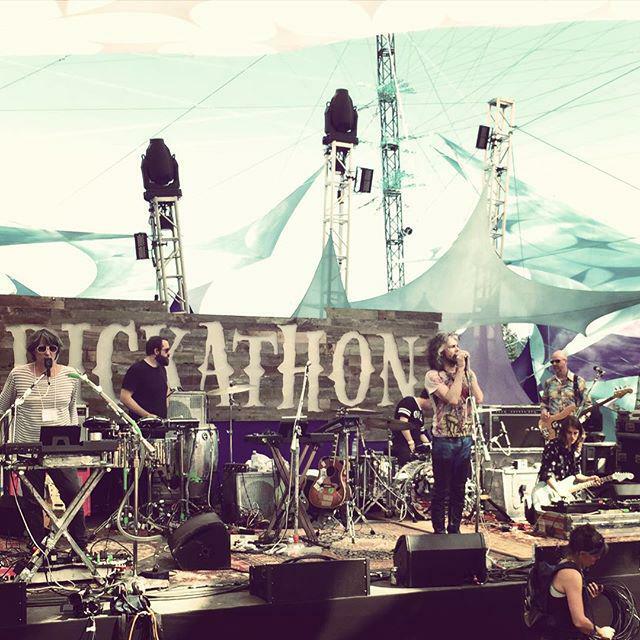 Come out to Pickathon !!! 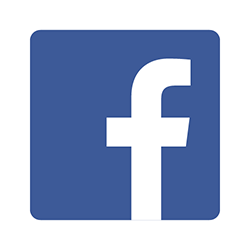 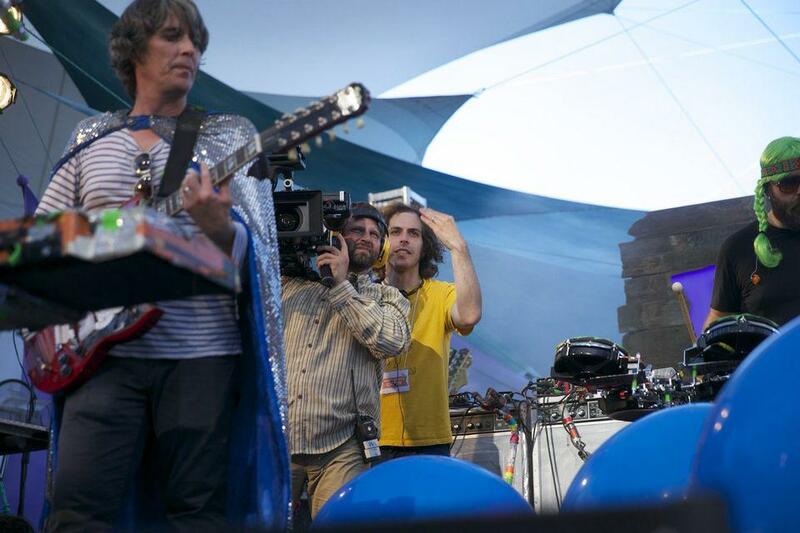 Notice who is holding up the silver bubble letters…. 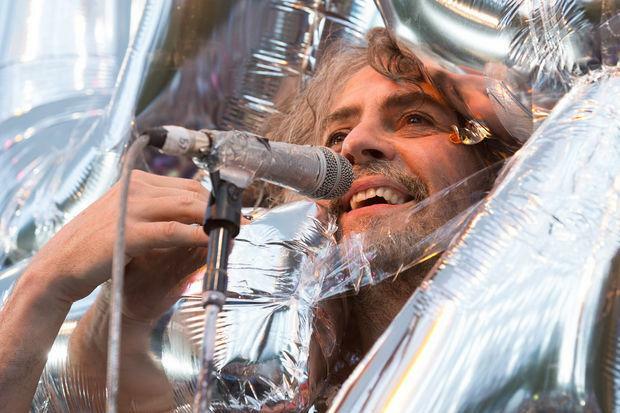 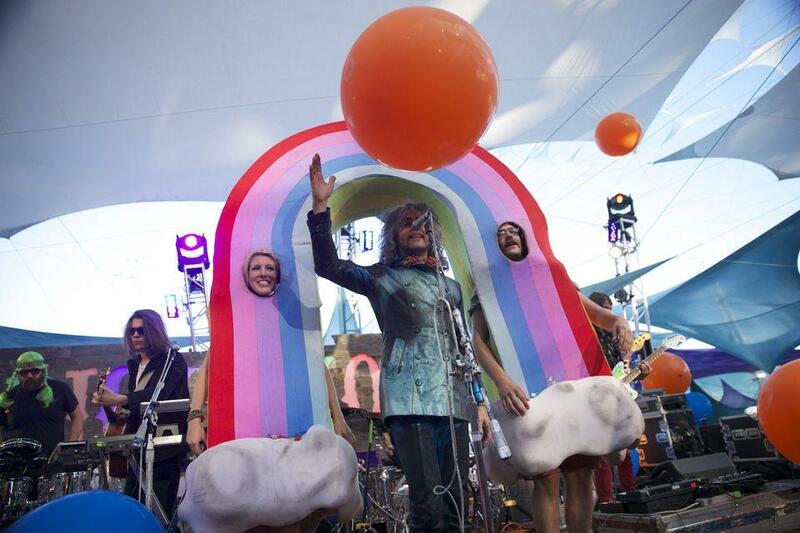 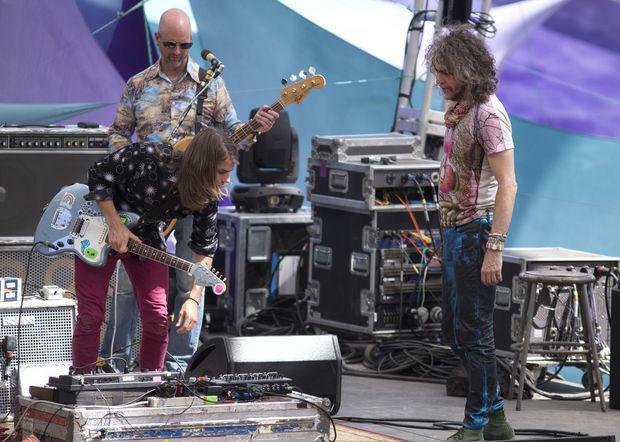 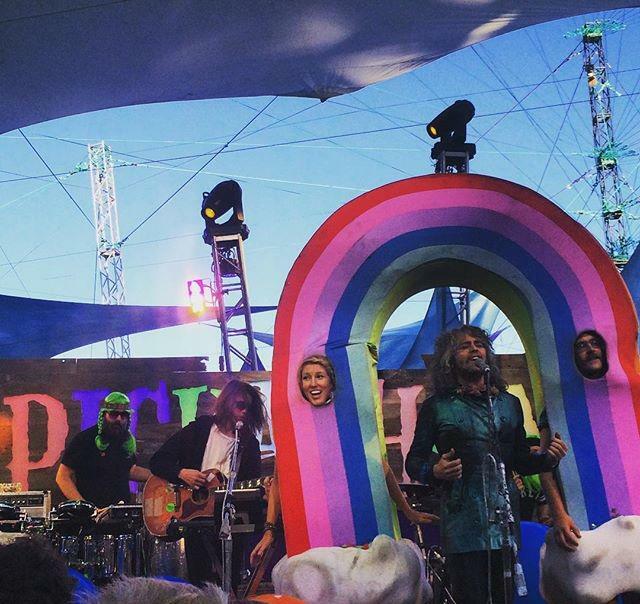 In one of the scenes filmed before the half-filled-lawn Mountain Stage crowd, The Flaming Lips took the stage and played “Do You Realize?? 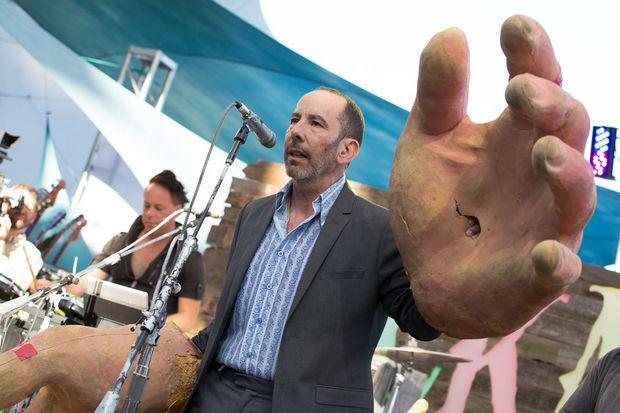 ?” John Levenstein (Arrested Development co-executive producer, Kroll Show producer) plays the role of the Lips lawyer in another scene. 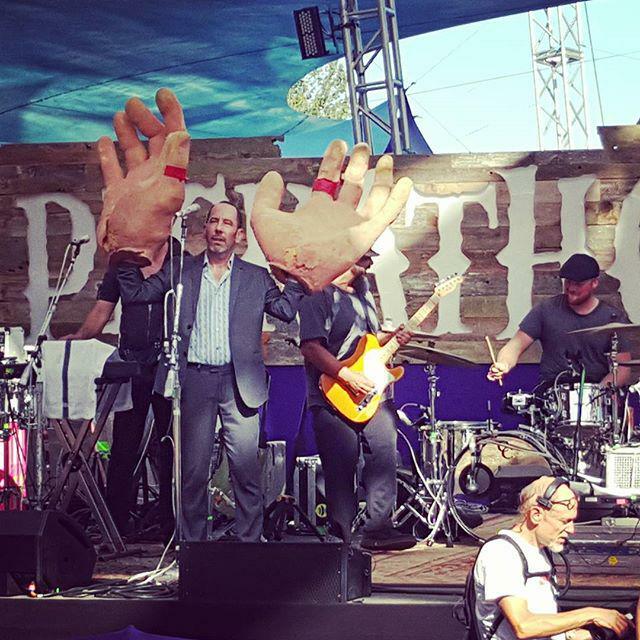 Legal complications lead him to act as a doppelgänger Coyne and take over the concert, replete with giant laser hands.